The Plantronics Calisto P825-M Conference phone from the excellent Plantronics 800 series of speakerphones makes it easier to multi-task, with its compatibility with PC, mobile and landline call managing features. 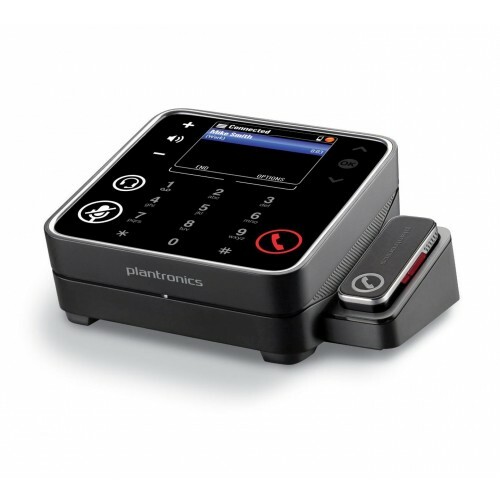 The Plantronics Calisto P825-M Conference phone allows you to easily connect and switch calls between your PC, home phone and mobile. Answer, view, dial, mute or switch between devices from the touch-sensitive dial pad and 2.4 inch colour display. It is also compatible with a corded headset or Bluetooth device, when required for private calls. 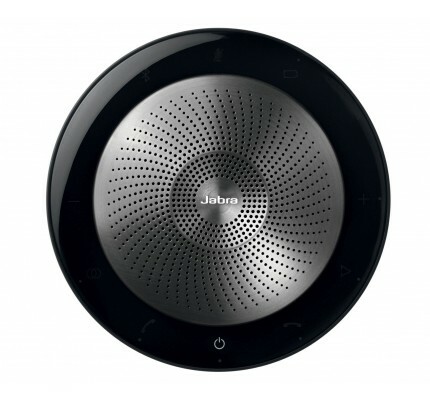 Why You Should Get This Speakerphone? The Calisto P835-M offers full duplex wideband audio for easy two-way communication, and the advanced noise cancelling technology it uses offers high voice clarity. You can place the unit on a desktop and enjoy 360 degree conferencing in a small conference room. When used with a wireless microphone, you can remotely answer, mute or end calls, and enjoy mobility while you work.